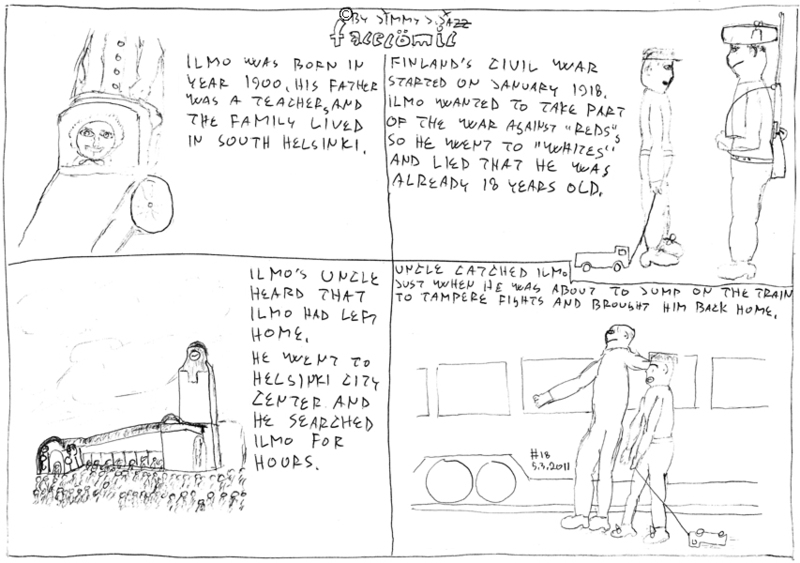 Ilmo was born in year 1900. His father was a teacher, and the family lived in South Helsinki. Finland's Civil Was started on January 1918. Ilmo wanted to take part of the war against "Reds", so he went to "Whites" and lied that he was already 18 years old. Ilmo's uncle heard that Ilmo had left home. He went to Helsinki city center and he searched Ilmo for hours. Uncle catched Ilmo just when he was about to jump on the train to Tampere fights and brought him back home.